Before they reach Chicago's South Side, a bunch of White Sox prospects will get the chance to impress the big club in the Southwest. The White Sox extended non-roster invitations to Major League Spring Training camp to Top-100 prospects Luis Robert, Nick Madrigal, Blake Rutherford and 17 others, the organization announced Tuesday. At No. 44, Luis Robert is the highest-ranked Sox prospect to receive an invite and is also the highest-ranked prospect not on the 40-man roster -- Eloy Jimenez (No. 3), Michael Kopech (No. 19) and Dylan Cease (No. 25) are already there. The 21-year-old outfielder, who signed for $26 million out of Cuba in May 2017, is coming off a rough 2018 season in which he hit .269/.333/.360 in only 50 games across three levels. Robert missed significant time with a pair of left-thumb injuries suffered during last Spring Training and in the middle of the season. He made up for lost time in the Arizona Fall League and showed potential by hitting .324/.367/.432 with two homers, two doubles and five stolen bases in 18 games with Glendale. When healthy, Robert could be a five-tool outfielder. His plus speed is his best asset, but his power, arm and fielding tools have also received above-average grades. Madrigal is going to big-league camp in his first spring as a professional. The former Oregon State star was taken by Chicago with the fourth overall pick and signed for $6,411,400 after winning the College World Series with the Beavers. He showed impressive hitting skills quickly in the Minors by batting .303 with only five strikeouts over 43 games across three levels. The 21-year-old middle infielder didn't strike out at all in his first 76 professional plate appearances. However, those bat-to-ball skills come with little power at present -- only seven of his 47 Minor League hits went for extra bases, each of which were doubles. Madrigal played mostly second base in college and his first taste of the pros, but it's possible he could move over to shortstop, where his plus speed could help him. Rutherford was a Yankees first-round pick in 2016 before being dealt to the White Sox a year later. The 21-year-old outfielder was a Carolina League post-season All-Star in 2018 after hitting .293/.345/.436 with seven homers, nine triples, 25 doubles and 15 stolen bases in 115 games with Class A Advanced Winston-Salem. He may not have the ceiling of Robert, but the California native has the potential to be average across the board and perhaps a little bit above average as a hitter. A former center fielder, Rutherford concentrated on right field last season. The White Sox also invited four other ranked prospects to Spring Training: No. 8 Zack Collins, No. 14 Luis Gonzalez, No. 21 Jimmy Lambert and No. 25 Bernardo Flores. The other non-roster invitees include right-hander Zach Thompson, right-hander Jordan Guerrero, right-hander Colton Turner, catcher Alfredo Gonzalez, catcher Nate Nolan, infielder Danny Mendick and outfielder Charlie Tilson. Right-hander Randall Delgado, infielder Ryan Goins, right-hander Evan Marshall, infielder D.J. 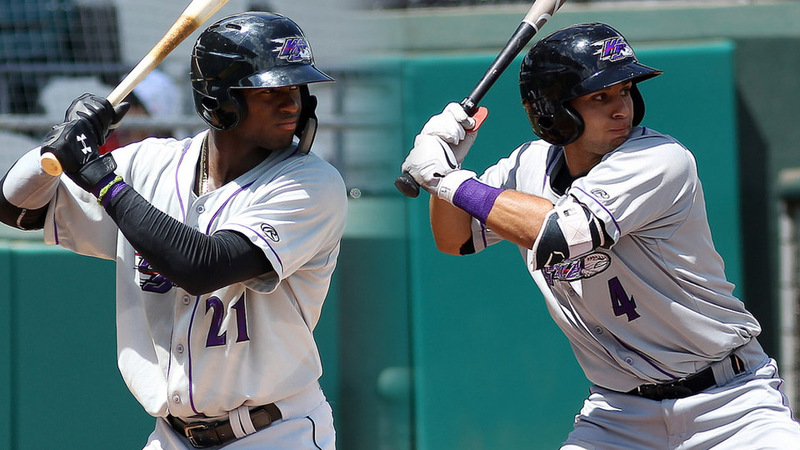 Peterson, right-hander Donn Roach and infielder Matt Skole were signed as Minor League free agents and invited to Spring Training as well.